An unusual case of Sarcoidosis has been reported in Journal of Medical case reports by N Meyer et al. in which there was no pulmonary involvement and initially diagnosis was missed. Sarcoidosis is a common disorder, which in most cases affects the lungs. But in this rare presentation, a 52-year-old white, Swiss man presented with painful arm cramps and a history of symptoms over the previous 3 years. In the initial clinical investigation, the patient also showed edema in both legs without any other complaints. After performing an magnetic resonance imaging scan of his extremities and a positron emission tomography/computed tomography scan, diffuse myositis was described. The subsequent muscle biopsy provided the surprising diagnosis of muscle sarcoidosis, without involvement of the lungs or any other organ. After starting therapy with glucocorticoids, his symptoms improved immediately. In this case report an isolated sarcoidosis is described without lung involvement, but with involvement of the muscles of the extremities and the trunk. Reported cases of sarcoidosis only involving skeletal muscle and without lung involvement are extremely rare. Radiologists should consider this presentation of sarcoidosis to avoid delayed diagnosis and therapy. 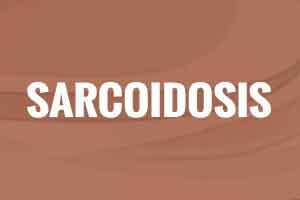 Sarcoidosis is a multisystemic granulomatous disorder, which in nearly all cases involves the lungs and other organs. Isolated forms of sarcoidosis within the muscles, but without lung involvement, are extremely rare and can lead to delayed or even false diagnosis.